Golden Tigers were never a threat in this one. Tuskegee University (2-2) never stood a chance on Saturday afternoon as the Findlay Oilers (3-1) walked all over the Golden Tigers, winning 61-0. It will go down as the worst loss under coach Willie Slater but not the worst loss in school history. A quick glance through the media guide shows a 69-0 loss to Albany State back in 1995. Findlay, out of the Great Midwest Athletic Conference, put on a show for the 826 people in attendance. They put together 581 yards of total offense, while coming up with four sacks and two interceptions. Tuskegee only managed 169 yards of total offense with six first downs on the afternoon. The Golden Tigers have shown their struggles on offense this year but the defense had been the saving grace thus far. On Saturday they had nothing for Findlay, they weren’t able to create any turnovers or sacks and gave up an average of 8.1 yards per play. Ahmad DeRamus got the start again at quarterback as Jamarcus Ezell entered this week still in concussion protocol from the Albany State game. DeRamus was 4-15 with 60 yards passing and two interceptions. Malcolm Vigille played in the second half going 4-6 and 69 yards for the Golden Tigers. Tuskegee University continues life on the road next weekend at Lane College, before back to back classic matchups against Morehouse and Jackson State. 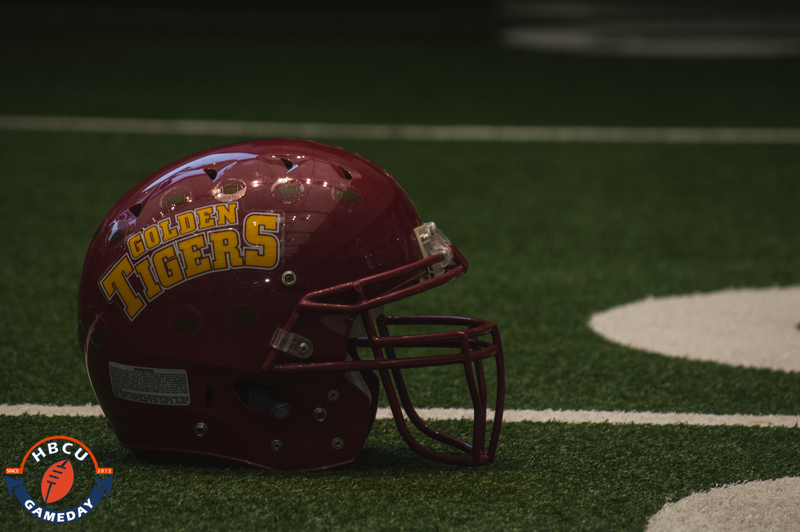 The Golden Tigers won’t return back to Tuskegee until October 28th, in their homecoming matchup with Central State.